Lock in a great price for Hosteria Helsingfors – rated 9.8 by recent guests! 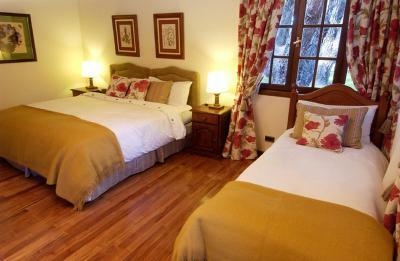 Set in a charming lodge in Los Glaciares National Park and surrounded by lush woods, Hosteria Helsingfors offers heated rooms with free WiFi access. This all-inclusive hostel provides guests with all meals and activities in the area. Drinks are not included. 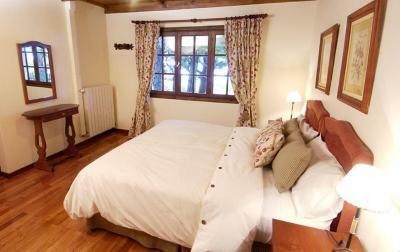 Featuring gabled wooden roofs and parquet floors, rooms at Hosteria Helsingfors have large windows offering garden views. 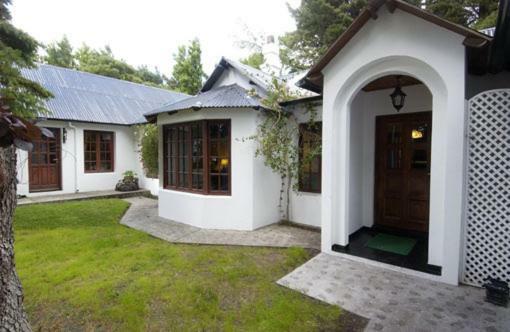 Some of them afford views of the Mount Fitz Roy and the Andes Mountains. They are also fitted with hot tubs or Scottish showers. 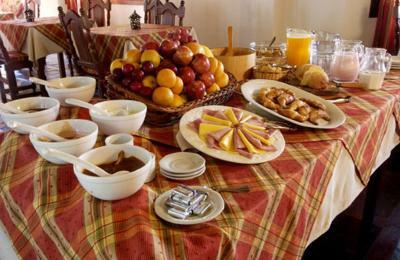 A buffet breakfast including bread, eggs, bacon, cereals, fruits, artisanal jams, pastries and juices is served daily. 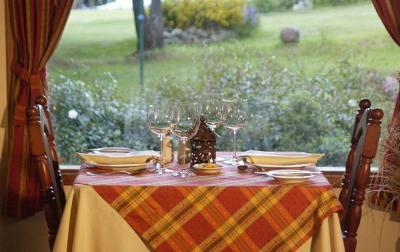 There is a gourmet restaurant offering a wide variety of dishes and an exclusive selection of wines. 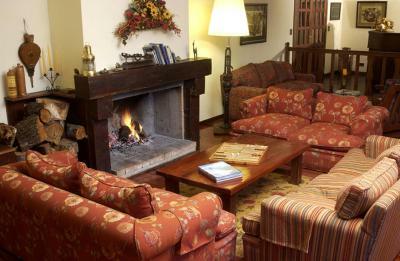 Guests can unwind in the garden or in the lounge, which features a fireplace. 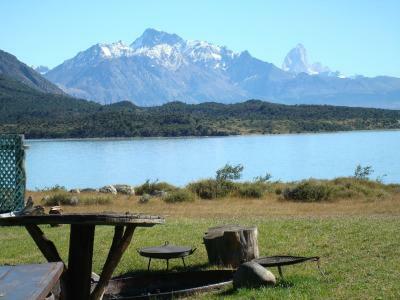 They can also use the common barbecue facilities, located on the banks of Lake Viedma. Free parking is available and guests are welcome to inquire about shuttles. Hosteria Helsingfors is 112 mi from El Calafate Airport. When would you like to stay at Hosteria Helsingfors? House Rules Hosteria Helsingfors takes special requests – add in the next step! Hosteria Helsingfors accepts these cards and reserves the right to temporarily hold an amount prior to arrival. Of course, the price tag is steep, no doubt about it. It is however all-inclusive (accommodation, transport, all meals, activities) and the staff is very dedicated to make sure you have a memorable stay. 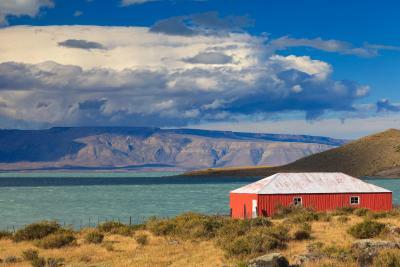 Incredible setting, at the end of a 75km dirt road, away from everything, on the side of lake Viedma. Wonderfull staff. Very inventive chef taking into consideration the remote location (wildlife all around the hosteria itself). 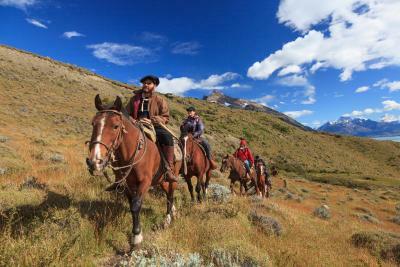 Great guided hikes on foot or on horse-back. 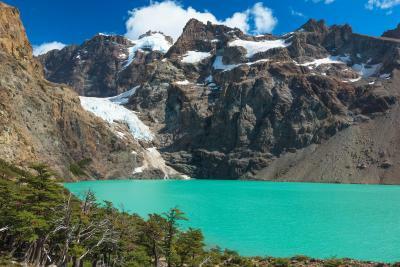 Free shuttle from/to El Calafate. Very cosy location, confortable. I felt really privileged that we were the only guest when we stayed there. It made the experience even more exceptional. This place has a specific history and you will learn about it in your discussions with your guide. We should have booked an extra night :-). 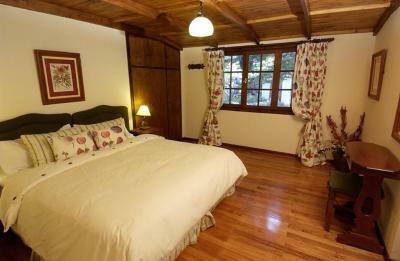 For such a remote place it is very surprising that they are able to provide this kind of 5-star experience. 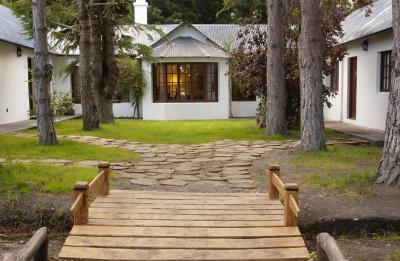 In order to enjoy this place, book at least two nights, if you can afford it three would be even better. 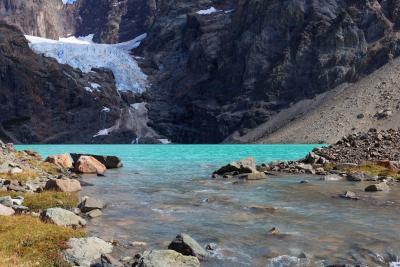 In this beautiful location we did our most favourite hike in our Patagonia trip: Laguna Azul. We were very fortunate with three days of great weather, so that may have helped :-). The staff is amazing: friendly, caring, helpful. 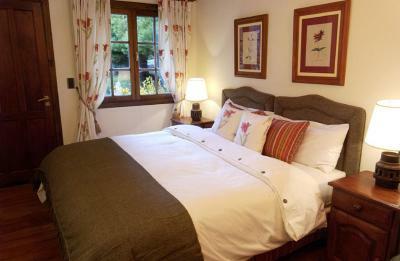 The stay includes breakfast, lunch and dinner. And non-alcoholic drinks. When ordening beer and wine, note that the prices are higher than in the rest of Argentina, but doable. All the food was perfect. 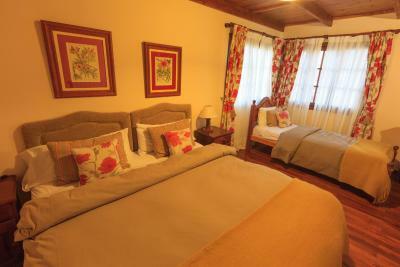 The rooms were very comfortable, with a nice bed and sitting corner, and a large bedroom. We had room 9. Everything was super-clean. If you come with your own car, and it is small, please check upfront if the road allows the trip. We were fine, because it didn’t rain, but it still took us 3 hours to get over the stoney 70 kilometers to the Hosteria. Not a punishment, as the views are constantly amazing. But if you are not up for it, book a transfer. They inform you about the details in your confirmation. The experience is like being a coddled guest in someone's beautiful home in the middle of a breathtaking landscape. 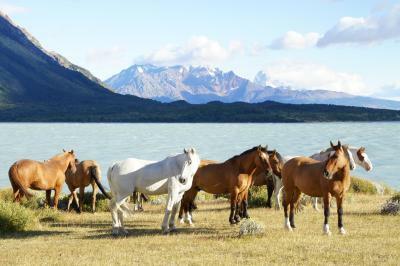 You're fed wonderful meals and treated to an unforgettable horseback ride up to one of Patagonia's most scenic glaciers. 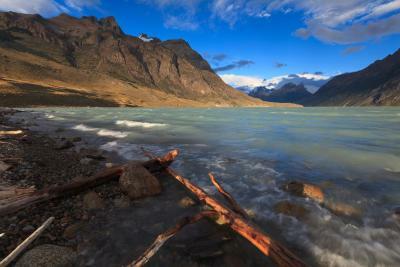 Even getting there -- a two hour drive along an unpaved road skirting the south side of Lago Viedma is an adventure. I would vote to have it paved but then the tourists would arrive in droves and this paradise would be spoiled. Rooms are a bit dated, and the activities are pre-organised, we didn’t have the option of changing activities on a bad weather day. 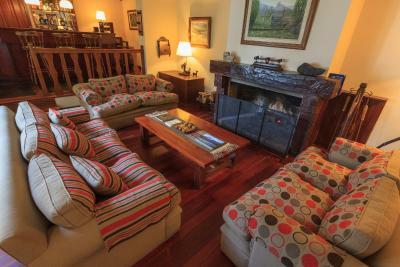 Friendly staff, wholesome meals, fab lounge room with a roasting fire (great for meeting other guests). 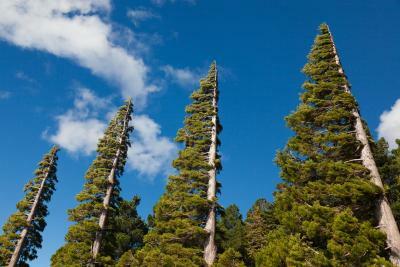 The amazing and remote location makes you feel like you are exploring the scenery by yourself.